Whether you’re a local resident or a foreign tourist, Prague is a city with plenty to offer. Because of its broad appeal which can cater to virtually any taste, TripAdvisor constantly ranks the capital of the Czech Republic among the top 10 best destinations to visit in the entire world. If you’re looking to marvel at architectural sights, the historic centre of Prague offers an unbelievable opportunity. However, of the more than seven million tourists who visit Prague each year, a good portion come with something else in mind – the nightlife. Prague is a bustling nightlife destination and this is best exemplified by its vibrant nightclub scene. You can find any music you like – from the latest hits to 80s nostalgia. And even though you hardly need an excuse to party every night, one occasion does stand out. A stag do does not come around every day and it’s the perfect excuse to really let loose and enjoy some unbridled fun. The kind of fun which is best suited to nightclubs as you have all the ingredients of a great party packed into a setting which is brimming with raw energy and exuberance. With a deluge of world-famous, yet affordable, beer to start off the evening, to the numerous nightclubs which cover all types of dance music, and ending with unforgettable parties which last until the early hours of the morning, Prague offers the perfect venue for a memorable stag do and a proper send-off to single life. And when you finally stumble out of the club, you can take a walk to the Charles Bridge and admire it in the morning light, when it’s free of the usual crowds. What’s more, if you have some money left over, you can even visit one of Prague’s many casinos. You can find additional information on gambling in Prague by following this link: https://stagmadness.com/blog/casinos-in-prague. With all this in mind, here’s a list of the 10 best nightclubs in Prague to host a stag do you and your friends will talk about for the rest of your lives. Nightclubs are usually very easy to spot, but Karlovy Lazne really stands out in this regard. It is a massive 5-storey building located right next to Charles Bridge. The main attraction is that those five levels each offer a different music style. Basically, you get five music clubs for the price of one admission fee. The lowest level is for mainstream music, the most popular songs at the moment. The second floor is for dance music, while the third is for oldies. Next up, you have RnB music and hip hop. The final floor is a chill-out zone, there to help you relax after going through the previous levels. As a bonus, you can also find the Ice Pub on the ground floor – a unique bar where absolutely everything is made of ice. Find out more at http://www.karlovylazne.cz/en/. Situated in the immediate vicinity of Wenceslas Square, Lucerna Music Club offers a wide selection of music genres in a slightly mellower atmosphere. Every Friday and Saturday, the club hosts a theme night of sorts, a party dedicated to the 80s & 90s. A large screen shows original music videos from the era and offers guests something to look at while they take a break from the dance floor. During the rest of the week, the club is home to various live performances, by Czech and foreign bands alike. Jazz, blues, rock, reggae, pop, and more – there is something for everyone. The building itself is also worth a look. The club belongs to the Lucerna Palace and is a former cabaret. SaSaZu is located in Holesovice, a Prague neighbourhood renowned as a party district. The club is enormous, covering an area of 5,000m2. At full capacity, this is enough to fit approximately 2,000 people, ensuring an atmosphere reminiscent of a music festival. The sleek interior attracts fans of dance music, house, pop, ethno, and funk. In addition, the complex also features a restaurant serving Asian cuisine. Therefore, if you didn’t get a chance to eat during the stag do, SaSaZu has you covered. The official website is https://www.sasazu.com/en/venue-club. You can find the M1 Lounge in the vicinity of the Old Town Square, in the very centre of Prague. The club is a premier location for hip hop and RnB music and is one of the trendiest places in town. It is very popular not only among the locals but also with global celebrities visiting this gorgeous city. It also features exquisite VIP bottle service, if you don’t mind spending some extra cash. The club is also relatively small so it’s best to make a reservation well in advance. For reservations and other information, visit http://www.m1lounge.com. Palac Akropolis is in the Zizkov neighbourhood and many consider it the best rock venue in Prague. But it is more than that. It is also the heart of the Indy scene, with experimental DJs and art performances. The Dead Kennedys, The Strokes, and the Pixies have all played there, among many others. It also contains a restaurant, if you need to refuel during your stag do. The official website is http://www.palacakropolis.cz/. If you want your stag do to have a retro feel, head on down to Old Town and Cafe 80s. The DJs have a whole decade worth of hits to choose from so the fun never stops. The brightly lit dance floor attracts all crowds, local and foreign, those who remember the 80s, and those born later. To go along with the music, you also have era-appropriate drinks. Plus, the club has a restaurant which serves food until 4 AM. For more info, go to https://www.cafe80.cz/?lang=en. Meetfactory is not the easiest venue to find. Situated off the beaten track, in a repurposed old factory, it takes a bit of effort to get to this multi-functional complex. In addition to music, it also has a theatre and an art gallery. However, you’ll have a tough time finding a better sound system in all of Prague, which is why live performances are so popular here. Electronic music, disco, experimental, and even modern classical – it all depends on the event and when you visit. Because the offer can vary greatly, make sure to check their website at http://www.meetfactory.cz/en/. If you’re a fan of progressive dance music, then Roxy is the choice for you. Its famous parties attract visitors from all over the world and have a cult status among the locals. The venue also hosts live concerts. An aesthetic reminiscent of old-school movie theatres and an experimental gallery combine to provide a unique experience. The visuals are unlike anything else and words cannot do them justice. You can look everything up at https://www.roxy.cz/en/. The Duplex offers an awe-inspiring sight before you even set foot in it. This rooftop venue sits high atop a building at the centre of the famous Wenceslas Square. The glass cube comes to life with state-of-the-art lighting and you can see the figures of dancers through the sides. It is a beacon of nightlife in Prague. A restaurant by day, Duplex transforms into the definitive nightclub which primarily plays house music. Mecca is another large factory repurposed into a music club. The venue has an industrial design, functional and simplistic, befitting its past. Three floors and five bars ensure no one misses out on the fun. The music is primarily house but you can also find other genres. The club DJs are top-notch and the party rarely ends before the early hours of the morning. Mecca is not open every day so make sure to check their website at https://www.mecca.cz/. Prague has even more to offer in this regard as these are just the top 10 picks. However, it is more than enough to prove that you can find a place to suit any taste. Seeing as stag dos are special occasions, they deserve an appropriate venue. With its unique charm and vibrant nightlife, Prague gives you just that. 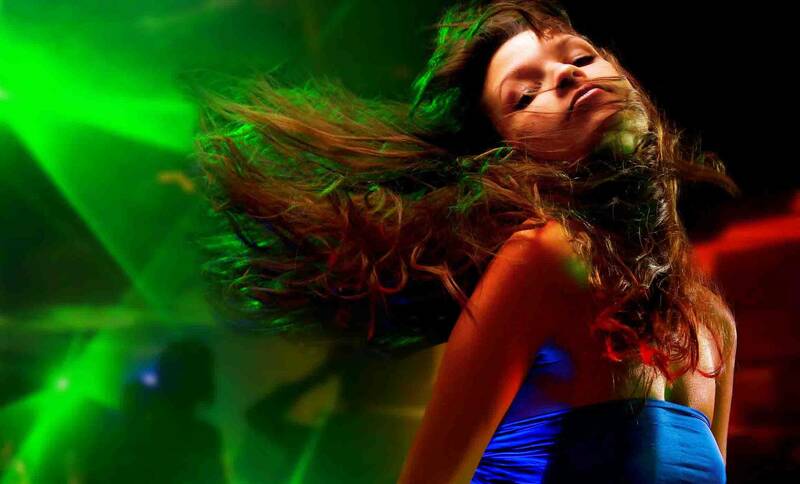 So, if you’re planning this kind of a party, Prague’s nightclubs can turn it into an unforgettable experience.